2 Is Your Pomeranian Itching and Scratching? 3.1 Does My Dog have Fleas or Dry Skin? Pomeranian dry skin is a very annoying problem for you and your beloved canine family members. Because lots of things can cause Pomeranian skin conditions, it’s hard enough just diagnosing the right problem, let alone looking at treatment options. Is Your Pomeranian Itching and Scratching? The following information will help you provide relief for you and your dog. If you say it quickly, Pomeranian dry skin doesn’t seem like a big problem. However, it can be viewed as the tip of an iceberg; it’s only when you get beneath the surface that you may discover more serious problems with your dog’s health. 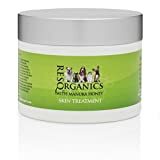 Dry skin can be a symptom of other, more severe medical problems including: parasites, Pomeranian allergies, hypothyroidism and Cushing’s disease. If your dog has patches of dry flaky skin, or displays symptoms of dog dry flaky skin and hair loss, the first step is a Vet visit. Does My Dog have Fleas or Dry Skin? Fleas and other parasites are a possible cause for dry skin. 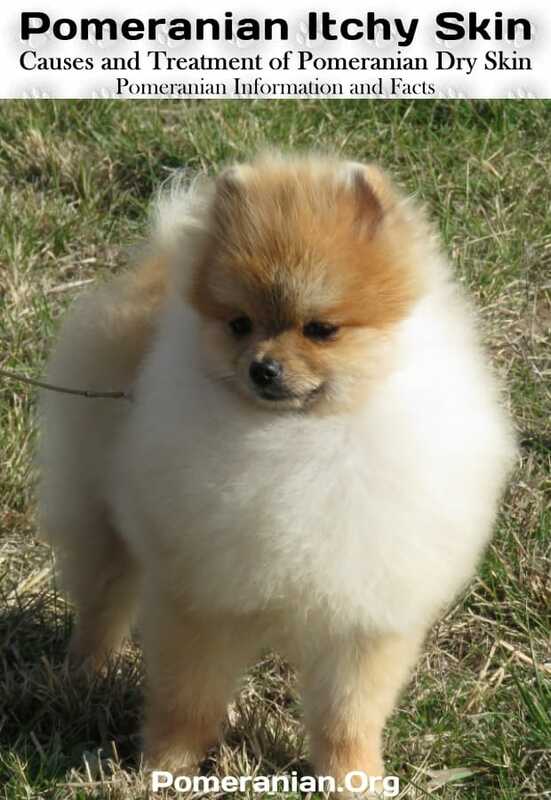 If your Pom’s skin is flaky and dry, it may indicate the presence of various parasites that can each cause separate problems Demodex mites can cause mange. Your puppy may have scabies or walking dandruff (its medical name is cheyletiellosis). Puppy flaky skin should be vet checked for Cheyletiella Mites (aka Walking Dandruff). Your dog may even have lice. The only way to correctly diagnose parasites as the cause of your pet’s dry skin issues is to take him to the vet. There are times when even your vet isn’t sufficiently knowledgeable so he could send you to an animal dermatologist for further examination. This is similar to you getting referred from your GP to a specialist. Neither your GP nor a vet will know everything. As with people, dogs can get allergies as well. One allergy can be to the saliva produced by fleas. Other possibilities include: food and environmental allergies. There are quite a few seasonal allergies including grass, grain, animal dander, dust, feathers, pollen that can each cause a number of canine symptoms, including dry skin. If you simply ignore the problem, hoping it will go away on its own, your Pomeranian can contract atopic dermatitis, causing additional problems such as redness, itchy skin, inflammation and further infections of the skin. The most common cause of Pomeranian itching and scratching is flea allergy dermatitis. This is where your dog becomes allergic to the saliva produced by fleas. To avoid facing this problem is to maintain a clean home that’s free of fleas. Regularly bathing your pet will help protect him from fleas. Ask your vet about the ideal ways to combat dog allergies. A Pomeranian skin infection is usually caused by fungal and bacterial infections. Vets usually test for infections by taking some scraped skin samples to do further testing. Infections may simply be an early warning sign that something more sinister will happen to your dog, if he’s not treated quickly enough. Ringworm (a fungal infection) can also be contracted by humans, an additional reason to keep your Pom as healthy as possible. It’s common for dry skin to be a precursor to bigger issues. There are two significant metabolic diseases related to dry skin and they are: hypothyroidism and Cushing’s disease. In both diseases, your dog may also have hair loss, brittle and dry hair, and infections of the skin. 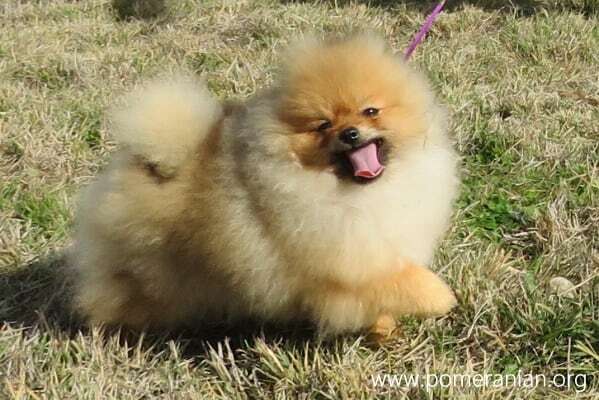 Cancer and autoimmune diseases can also cause your Pom dog’s skin to dry out. Your Pomeranian is part of your family. For this, and many other, reasons, all health symptoms, including dry skin, MUST be viewed seriously. Please do not delay the visit to the vet. Certain dog breeds are more susceptible to skin problems, particularly dry skin. Hairless dog breeds such as Chinese Crested and the Xoloitzcuintli can contract numerous skin conditions. Alaskan Malamutes, Siberian Huskies and many of the bigger breeds that have rapid growth puppies can contract zinc-responsive dermatosis. Vets need to conduct sufficient tests to determine what may be causing your dog’s dry skin problems before deciding on a way to treat it. Dry air, cold weather, low quality nutrition, bathing your Pom too often and using harsh soaps can all cause dry skin. If you think your dog’s problem is due to poor nutrition, over-bathing or environmental factors, get your vet to rule out other more serious problems. Some dogs may only have one symptom and others may have a few, concurrently or at different times. 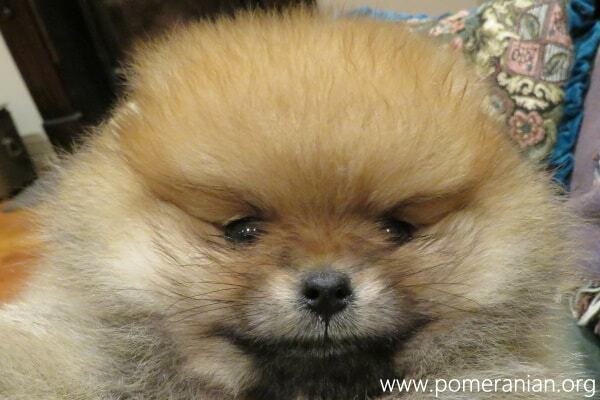 Monitor your Pomeranian whenever symptoms do appear and consult your vet to diagnose and treat dry skin. Before a vet can determine the most appropriate treatment, he needs to identify the cause of Pomeranian dry skin. Yes, you can search the internet for information but nothing beats the hands-on experience that a vet has, especially if he sees your dog regularly because he’ll understand him more. If dry skin is one symptom in a bigger problem, your vet will devise a treatment regimen to treat the dry skin itself as well as its cause. Cushing’s disease and mange are often connected so both will need treatment, but only after tests have been conducted as each disease has different tests that need to be done. Medication can generally manage both diseases and the dry skin as well. When it comes to the treatment of allergies that dry out the skin, there’s no test that reliably diagnoses allergies to food. The elimination diet is what a vet would normally recommend. This diet works by eliminating foods that can possibly cause allergies, one at a time, and watch for any changes in your pet. Foods that are most likely to cause your dog’s food allergies are: eggs, chicken, corn, soy, beef, dairy and wheat. Manage the symptoms (the itchiness, inflammation, etc. Avoid feeding your dog anything to which he’s allergic. Vets generally combine treatment options when fighting allergies. If you bathe your dog too often, that’s easy to fix. Start by decreasing the number of times you wash him each week or month. Get a humidifier for use when the weather is dry and cold. Ask your vet what is the best shampoo to use. Improve your Pom’s diet by getting information from your vet about the ideal foods and whether supplements should be also used. Good nutrition will help his coat and skin return to good health once more. 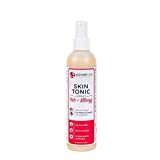 The popular proverb, “an ounce of prevention is worth a pound of cure,” is certainly true when you connect it with good skin health for your Pom. 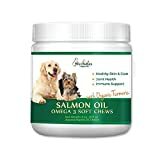 Ensure your dog has all the current preventatives to protect him from parasites. Make sure you feed your Pom healthy, nutritional food and include supplements where necessary (and recommended by the vet). Regularly groom your Pomeranian so there’s no build-up of debris and dirt on his body. Keep the facial skin clean, including wiping under the eye area often. Your vet should regularly check your Pom to avoid prolonging existing, previously undiagnosed problems. Google is your friend. Learn all you can about your Pomeranian, what skin and overall health issues he may be prone to having. Then you’ll know what to look for and that improves your chances of catching problems early. A happy dog is a healthy dog. 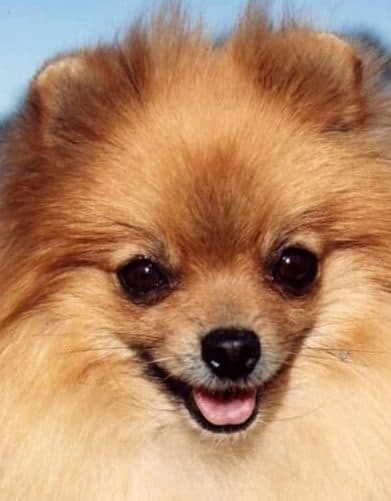 There are times when Pomeranian skin problems will occur and it’s essential that you’re a conscientious owner so you can have your Pom treated early enough that he’ll get to enjoy living a long, happy life. Denise Leo “ Pomeranian Grooming”.